Michigan Chihuahua Rescue View other Chihuahuas for adoption. Maisie is ready to find her forever home. After having demo mange, an eye infection, light hw+ and not much hair in February. She flew here from Deep South Texas, and now, having gained a couple pounds (11# now), all hair grown back and eyes clear (she does require daily eye drops which are about $15.00 a month), she is ready! 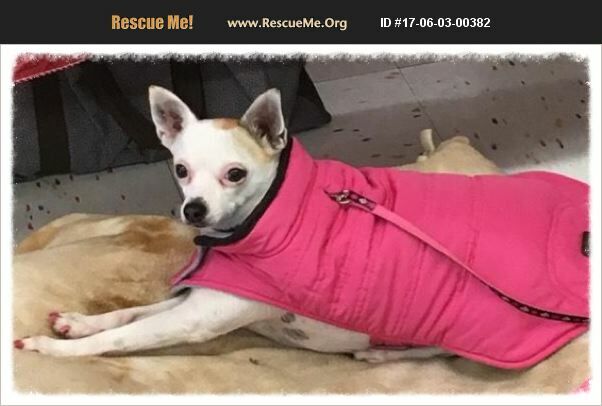 Maisie is approximately 4 or 5 years old, is an independent lap dog as most chi are. She loves to snuggle under a blanket, gives great kisses, walks well on a leash and is good in the car! She gets along well with other dogs and has no trouble letting them know she is in total control! ( cats do not interest her). Maisie is house trained (potty pad available for long days), crate trained and would prefer older children. She prefers a fenced yard so she has no restrictions while on potty breaks! She is spayed, chipped, and up to date on shots. Her adoption fee is $$250.00. Contact us at projecthoperescue@gmail.com to find out more about Maisie!